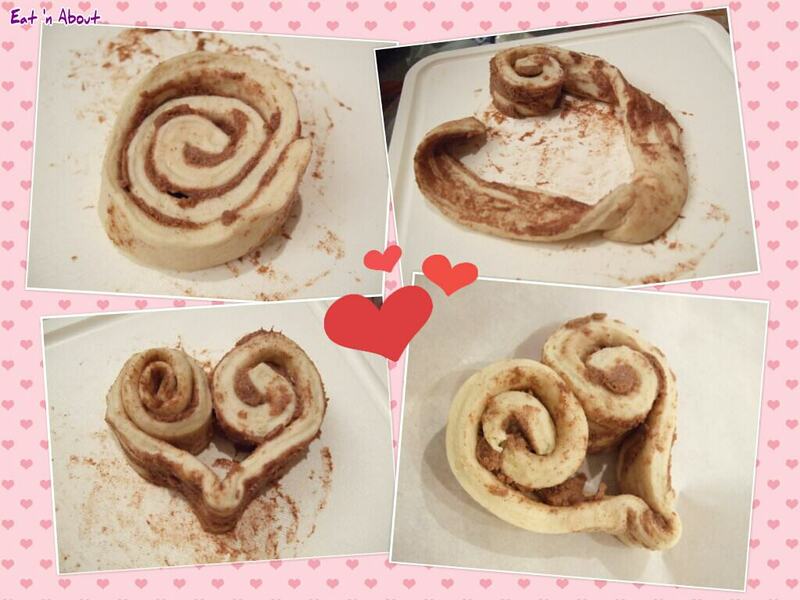 I prepared these adorable heart-shaped cinnamon rolls for dessert for our Valentine’s night dinner. As usual I found a super easy recipe online, this time from the Pillsbury website itself! 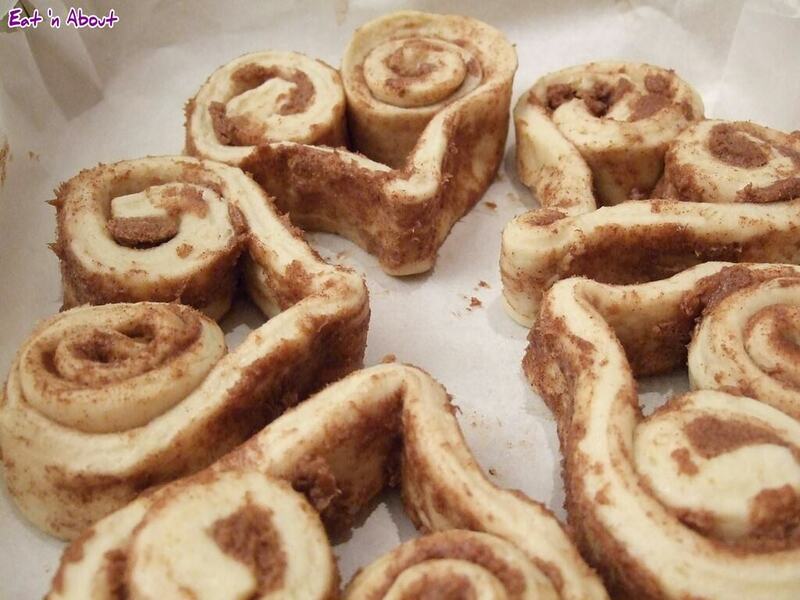 All you need is a can of ready-to-bake cinnamon rolls. Make sure it’s the regular rolls not the mini ones, as reviews seem to say that the mini ones don’t unroll as easily. Preheat oven according to instructions on can. Line baking pan with parchment. Take out individual rolls. Unroll from the outside until about halfway, leaving center coil intact (this will be one “bulge”). Take unrolled end and start rolling inwards to complete the top of the heart (this will be the other “bulge”). Pinch bottom to complete the shape. 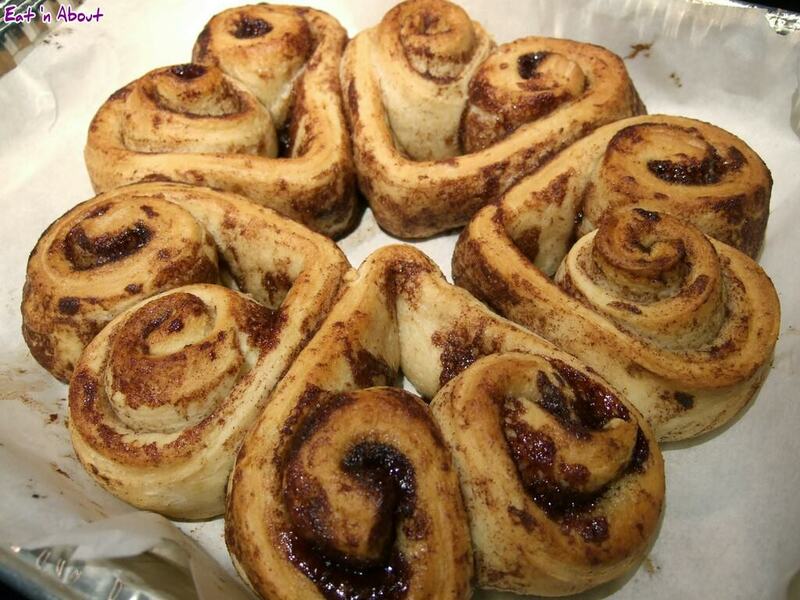 Place in a circle in baking pan, so that they will keep each other in shape as they puff up. Bake 15 minutes or until golden brown. Let cool 5 minutes. And you’re done!! Drizzle with the provided icing to make it REALLY easy, or make your own drizzle/icing (I have a chocolate ganache recipe here) or anything else you want!! There you go! 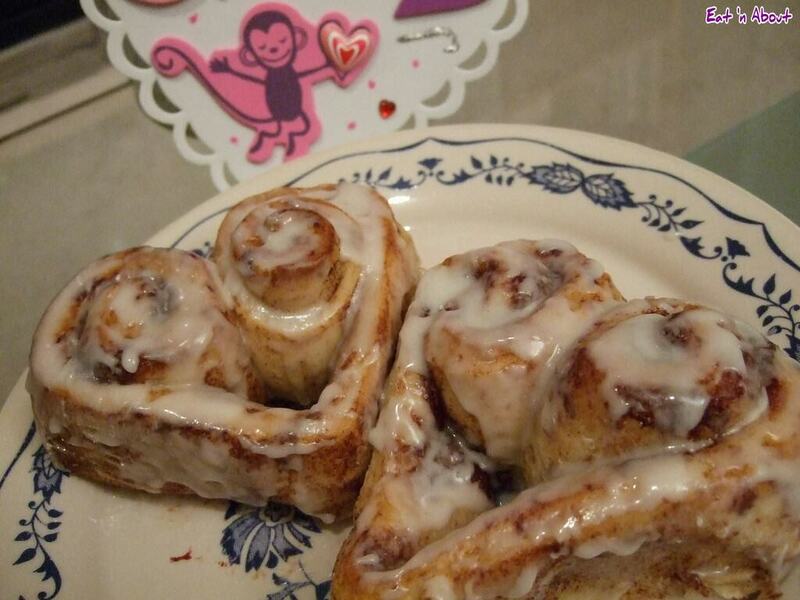 Another easy peasy Valentine’s recipe!